In 2015, the construction of Milan metro Lilac (also known as metro M5) line was completed, the M5 line, an almost completely automated underground. The stops are 19 and connect San Siro Stadium to Bignami. The Milan metro line crosses the other subway lines at Zara stations (crossing the Milan yellow metro), Garibaldi (crossing the Milan green metro) and Lotto (where it crosses the Milan red metro, the city’s main line). 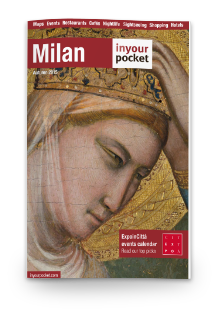 Thanks to MilanoCard, the Milan City Pass, you can get Milan public transport for free! MilanoCard is the card for tourists who want to visit the city getting discounts and gratuities in the main attractions of Milan, click here. Going down to the Monumental stop of the Milan metro you can visit the Monumental Cemetery of Milan, designed to replace the existing Milanese cemeteries until today, it contains numerous works of classical funeral art. For the high artistic value of sculptures, tombs, funerary edemas and other works inside, the Monumental Cemetery of Milan is a real open-air museum. Take the Milano Lilac metro again and get off at the Domodossola stop and discover the new and modern CityLife district, designed for the redevelopment of the Campionaria Fair following the projects of Arata Isozaki, Daniel Libeskind and Zaha Hadid. Taking the Milan metro lilac again and going down to the Portello station, you can visit the Official Museum of one of the main Serie A teams in Milan, Casa Milan. Casa Milan is a journey that allows you to relive the Rossoneri history. It is the first museum to have a holographic post that will allow you to meet the Milan champions. From the Champions Gallery to the Sala dei Palloni d’Oro, to the Hall of the Trophies with the most important cups won by Milan: memories and testimonies blend with the objects that have made the Rossoneri history. Thanks to MilanoCard, the Milan City Pass, you can access Casa Milan for free with the run4FREE formula. Click here and find out how! Continuing the journey with the Milan metro lilac, you reach the San Siro Stadium. Inside the San Siro Museum you can admire the cups and sweaters of the champions who have made the history of the two historical Milanese companies, F.C. Inter and A.C. Milan. Save money with MilanoCard, find out how.